Tegucigalpa (AFP) - Surrounded by empty stalls, Sheila is holding on as best she can to the small stand where she sells fried bananas in what was once one of Honduras's busiest markets. 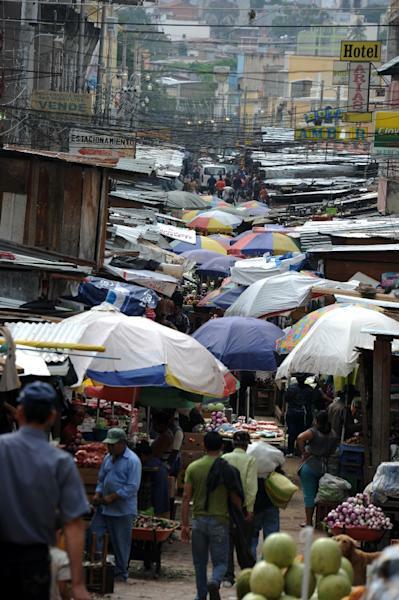 Scared of extortion and violence by the gangs that have carved up the Central American country, her former colleagues and competitors have abandoned the Las Americas market in Tegucigalpa by the hundreds, turning the once-bustling bazaar into a desolate no man's land. "Welcome to the food court," reads an optimistic sign that hangs over the deserted restaurant section, its message bizarrely dissonant with the many "for rent" and "for sale" signs. "Nearly all the merchants have left. They decided to leave before they got killed or had to pay the 'war tax,'" said Sheila, methodically slicing bananas and tossing them into boiling oil. The "tax," in her case, is $20 a month, which she pays the gangsters so they will let her stay in business. For some, the price runs to $200 a month. Sheila, a 30-year-old woman whose name has been changed to protect her, said she faces harassment and threats even though she pays. But she defies the risks to keep her business going, working alongside a handful of other holdouts and selling her bananas to the trickle of roving street vendors who still make their way to the market. Of the more than 500 businesses that once sold produce, street food, clothing, shoes and other wares here, around 50 now remain, fortified with concrete walls and metal grates over their doors and windows. "The merchants who left won't set foot back here because they're afraid," said another holdout, who asked to be identified as Pedro. "They're hard workers, but they can't work here. The war tax is killing businesses, because there's no way to pay." The gangs are known as "maras," short for "marabuntas," ravenous ants that eat up everything in their path. The two most powerful, Mara Salvatrucha (MS-13) and Mara 18, emerged in the 1980s in Los Angeles's Latino neighborhoods. They arrived in Central America when the United States deported thousands of immigrants, and have continued to grow ever since, feeding on poverty, government inefficacy and the breakdown of families. New rivals have also emerged, with names like "Los Chirizos," "Los Benjamines" and "Vatos Locos." Members are recognizable by the elaborate tattoos that sometimes cover their entire bodies, including the face. 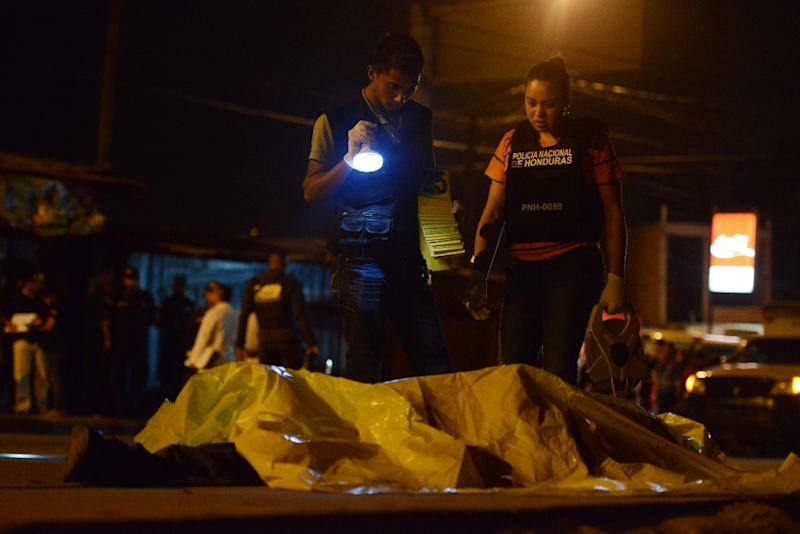 The extreme violence they use to run the drug trade and extortion rackets has given Honduras the world's worst homicide rate: 90 per 100,000 inhabitants in 2012, according to the United Nations. 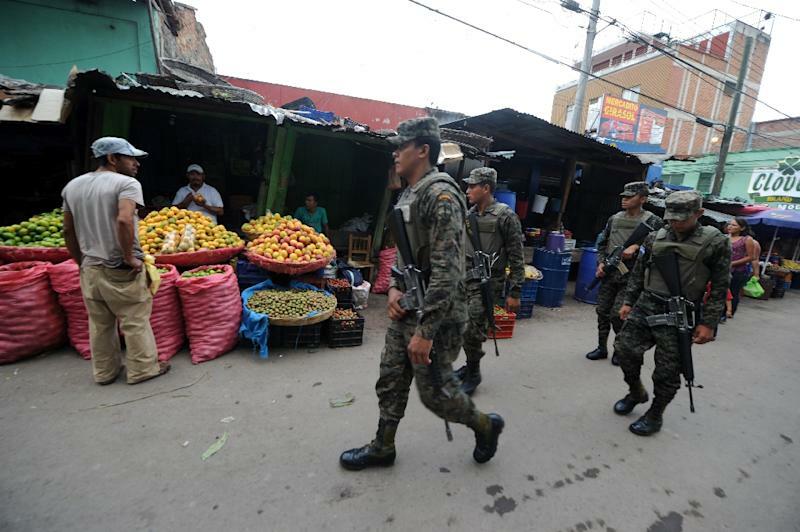 The extortion "affects all sectors of the economy," said Fausto Rodriguez, an officer with the Honduran police's anti-extortion task force. "The victims, who can be judges, congressmen, bus drivers, farmers or business owners, suffer physically, psychologically and economically. Often they flee the neighborhood or even the country." On the public transport network alone, more than 30 people have been killed this year, according to authorities -- most for refusing to pay extortion money, the so-called "war tax." "They kill anyone who doesn't pay, to send a message," said Migdonia Ayestas, who heads the Violence Observatory at Honduras National University. "The problem has spun out of the authorities' control." The gangs' control even extends to women's hairstyles. Sheila's hair is light brown, but she now has to dye it black, after MS-13 decreed a zone-wide ban on light hair because women members in rival gang Los Chirizos dye theirs blond. Los Chirizos members recently took her cell phone, too, she said. "Whenever the guys need something, they just come and take it," she said. Sheila said she was too afraid to ask the phone company to block her account. "Right here, they killed a vendor because he didn't pay the 'tax' on time," said Raul Flores, an evangelical pastor widely respected in the market who runs a stand there with his wife, selling disposable plates and cups. Business is terrible, but some have no choice -- they have taken out 10-year loans to buy their stands at prices of $4,000 per square meter (square yard). "We have this debt, so we have to put up with anything and everything," said Flores, casting an uneasy look over his shoulder to make sure no gang members were listening.